Urban Bäckström (SV), 1994-2002, "B"
Bäckström (*Sollefteå (SV) is a former governor of the Sveriges Riksbank, the national bank of Sweden from 1994-2002. After resigning he started as CEO of Skandia. Arne Jon Bakken (NO), 1961-1980, "AB"
Bourgogne Herlaer ( - ) was mint master at the mint in Brussels. The mint was responsible for minting coins for the Kingdom of the United Netherlands until the separation of Belgium from the Kingdom. Romain Coenen (Asse, Belgium, October 13, 1947) was the director of the Belgian Royal Mint from 1987 to 2009. 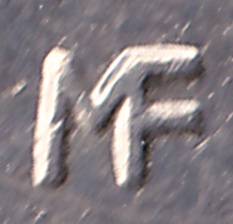 He retired on January 1st 2009, but his mark was used on all the coins of 2009. His zodiac sign is libra, which is why he choose this symbol as his mark. Bengt Dennis (SV), 1982-1993, "D"
Dennis (*Grängesberg (SV), 1930) was the riksbankchef (Governor of the national bank of Sweden) from 1982-1993. His predecessor was Lars Wohlin and was succeeded bij Urban Bäckström. Mikhail Fedorov (? ), 1812-1822, "МФ"
Federov was a mint master in St. Petersburg. Magne Flågan (NO), 2002-2006, "MF"
Alf Grabe (SV), 1927-1945, "G"
Stefan Nils Magnus Ingves (SV), 2006-present, "SI"
Ingves (*Turku (FI), 1953) is a Swedish banker and economist. He has been the president of Sveriges Riksbank (Swedish national bank) since of 2006. He succeeded Lars Heikensten in this function. Jan Erik Johansen (NO), 1996-2001, "JJE"
Ole R. Kolberg (NO), 1981-1994, "K"
Serge Lesens (Ath, Belgium, May 19, 1952) has been working for the Mint a long time, in several positions, before he was promoted to interim mint master in 2009. 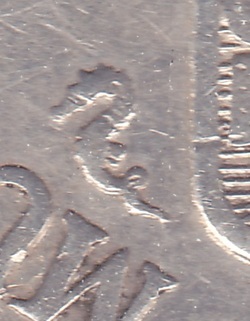 Romain Coenen took his pension on January 1st 2009, but his mark was used on all the coins of 2009. He has an interest in poetry and other literature, which is why he choose the quill as his mark. Johan Conrad Lihr, 1885-1912, stylized capital letter "L"
Patey (*Paris [FR], 1855 - 1930) was a chief-engraver at the Paris mint 1896 until his death in 1930. He was a sculptor, medallist en coin engraver. In 1873 he was admitted to École nationale supérieure des Beaux-Arts in Paris [FR]. In 1875 he won the second Prix de Rome for medal engraving and in 1881 the Grand Prix de Rome, again for medal engraving. In 1898 he was honoured as a knight in Légion d'honneur , won a golden medal at the World Expo in 1900 and became a member of the Academie des Beaux-Arts in 1913. He designed many coins for other countries and (former) French colonies struck at the Paris Mint. Poelman (1792 - Pisa [IT], april 18th, 1846) was a Knight in the Order of Orange-Nassau. Smit ( - ) was an acting mint master. 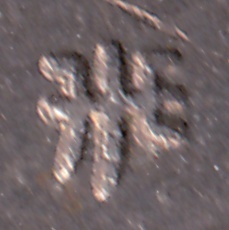 According to tradition he used the privy mark of the last mint master marked with a star. Paul Stupitzyn (? ), 1811-1825, "ПС"
Stupitzyn was a mint master in St. Petersburg. 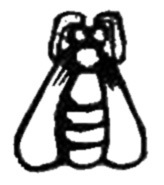 Benkt Ulvfot (SV), 1961-1986, "U"
Van den Brandhof ( - ) succeeded Van Hengel directly as mint master. He choose his sign because the rooster is a historical sign of vigilance. Often an acting mint master is instated first, but not this time. 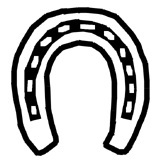 An acting mint master usually uses the privy mark of the last mint master adding a star or with a minor adjustment. In this case there was no acting mint master so a 'fish with star' is not to be expected. 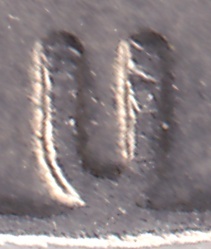 Van den Brandhof honoured his predecessor though, by using his mark with a star on the coins minted for the overseas territories of the Netherlands. 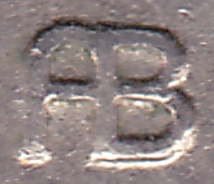 Van den Wall Bake (1809 - June 29th, 1874) succeeded Poelman in 1845 as mint master of the Royal Dutch Mint, but only used his own privy mark as of 1846, the sword. At first he would only be acting mint master, because Poelman fell ill and went for Italy. Nevertheless the better climate, Poelman never recovered and died in Pisa (I). 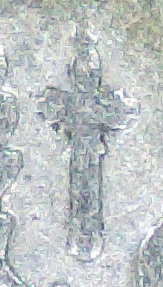 During his period as acting mintmaster, Van den Wall Bake used the mark of Poelman with a slight modification, the lily has a pearl on the band. Van Hengel ( - ) started as acting mint master during World War II from 1942 until 1944. After the war he became the true mint master of the Royal Dutch Mint. He used a fish as his privy mark. He was directly succeeded by Van den Brandhof in 1969, without the interference of an acting mint master. A tradition in the privy marks of Dutch mint masters is that an acting mint master uses the privy mark of his predecessor joined by a star. Since no acting mint master took office between Van Hengel and Van den Brandhof, a privy mark 'fish with star' is not expected. 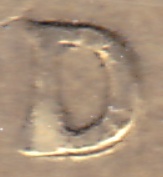 Nevertheless, this mark is seen on coins of the Netherlands Antilles. Van Hengel had the dies for these coins made, but couldn't use it for the overseas territories since there was no request for the coins. His successor, Van den Brandhof, honoured his predecessor by using the dies after he had a star added for the coins from 1964 to 1968.